Tick tock, tick tock. Time is running out….not with these stylish clocks! Are you anything like me, always rushing around, thinking there is never enough time in the day?! 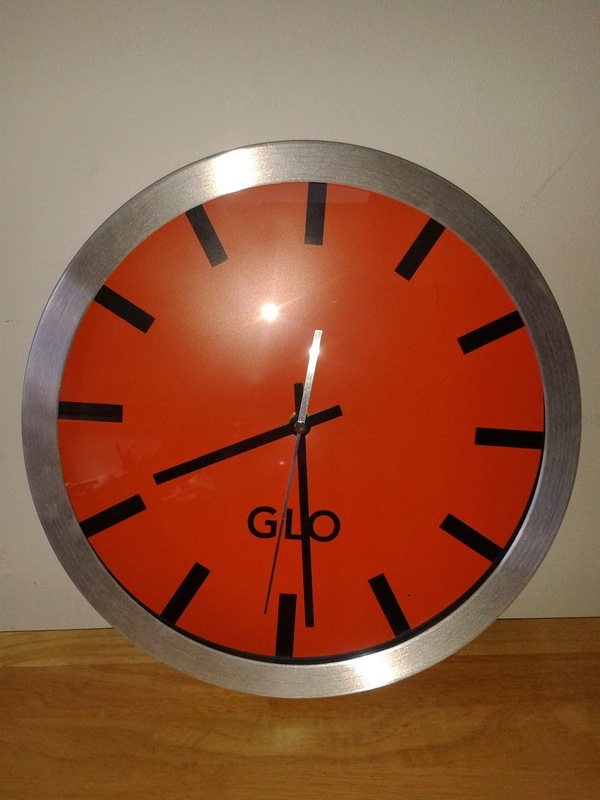 Well, with these stylish GLO Aluminium Wall Clocks from Shoplet then you can feel a little more at ease. These clocks would suit any home, with any kind of décor. The version I have has a bright orange face with an aluminium trim and a glass face. I loved this clock as soon as I saw it. It really gave the room an instant injection of colour. The clock is well made and sturdy, so you don’t have to worry about it falling off the wall. The kids loved the colour and wanted it in their rooms but I wanted it to go in the kitchen! I don’t wear a watch and when my children have commandeered my mobile I have no idea what time it is, as we only have one clock in the dining room. I wanted a clock in the kitchen so that I could keep an eye on the time when I’m making the breakfast, getting packed lunches together as well as for general cooking and baking duties. This clock makes it so easy to just look up in the kitchen and keep an eye on the time. I don’t know why I didn’t get one earlier! It doesn’t tick too loudly either, although it is in the kitchen so if you put it in a kids room it may sound a little different. There are similar clocks on the market to this one, but I found them to be a lot more expensive and not as nice, in my opinion. Why pay more money when Shoplet supply them as well as many other products, stationery items and promotional items. Disclaimer: I was the sent the above product to review. All opinions and views are my own. Nutcase? I’m not and nor is my new phone case!